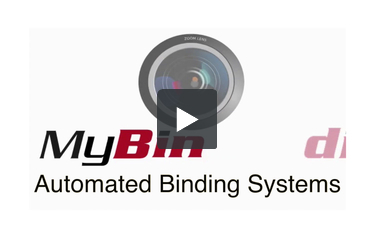 This is MyBinding video. We have the guaranteed lowest prices on advanced automated binding systems and we have a lot of experience using and selling GBC and James Burns brands, plus others. So if you’re looking for a machine that can do multiple steps in the binding process or the entire thing altogether, we have what you need. Look around here on our website or give us a call. We love to answer the phone and our customer service department will help you find exactly what your company needs. When image matters, MyBinding.